When it comes to tiling for your home, the choices are truly limitless. From tiles for walls, floors, exteriors and terraces, homeowners can opt for different colors, patters, textures and materials. However, an important aspect of tiling is the tile laying pattern. There are ways to arrange the tile on a surface that can enhance its beauty and design. Because tiles create a pattern on the walls or floor due to the joints, it can make a huge difference to the look of the space. From timeless patterns to newer styles that are bold and dramatic, there are many facets to tile laying pattern. Tiles allow flexibility in every way and these 6 ideas for modern tiles will provide inspiration for your next home or office project. Look how different modern tiles create a unique look for every space. Ultra modern spaces are often designed in the most simplistic style. Decluttered neat pattern of this parallel pattern lends such a sophisticated charm to the bathroom. Notice how the floor and walls have exact same tiles and tile arrangement. The large size tiles of natural stone or ceramic finish and muted color tones lend an earthy touch to the elegant space. The geometric tiles laying pattern is ideally 30 x 60. This parallel tile pattern is one of the most popular and simple ones, suited for all kinds of spaces both indoors and outdoors. You can rarely go wrong with this! Joint Color: Make the joint a standout design feature by infusing a contrasting color allowing a beautiful geometric design come to the fore. The classic association pattern immediately transforms to a modern version of itself through use of unusual and trendy joint colors. Half Dressing: The tiles are laid at regular intervals to the adjacent tiles forming a continuous staircase pattern. Third division, quarter dressing and others: These offset possibilities result in a unique pattern where the tiles are divided into 3 or more sections. Its always a good idea to first create a sketch and then implement it on site. Wilder Verband: This is an even more irregular pattern but with an order when you view the design as a whole. Tiles of different dimensions are combined to form patterns that lend an amplifies style quotient even with the simplest of tile designs and colors. 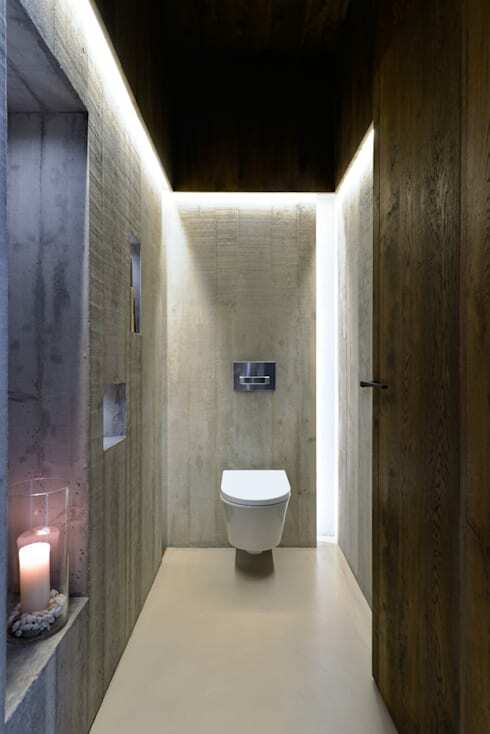 Rectangular tiles in wood like finish are arranged in a vertical orientation parallel to the wall. This tile laying pattern is particularly suited to these varieties of tiles that look so much like wooden pallets. How else could you ever imagine wood inside a bathroom. 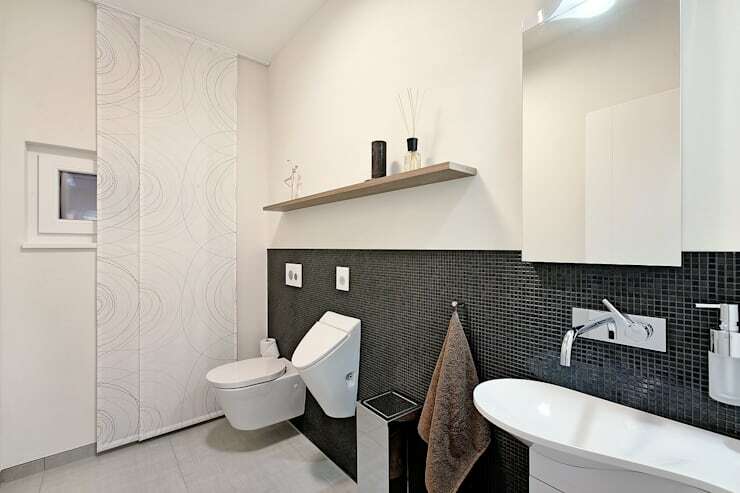 But these designer tiles make it all possible allowing wood to be used both for walls as well as floors in bathrooms, living rooms and kitchens. 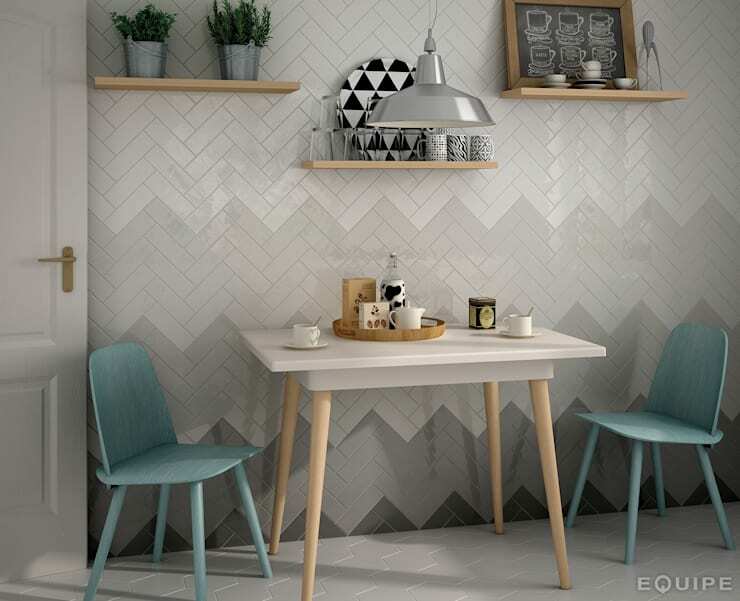 A very eye catching tile pattern, the Herringbone can be put to use in any room. Here, this beautiful tile pattern looks even better with shades of grey on one wall of the kitchen. Sturdy tiles on this side of the kitchen ensure that the wall remains maintenance free as well as serves as a signature wall in the room. Notice how the pattern continues on the floor even though in a single color. Now who wants to dine in the dining room, when the kitchen corner is so much fun. 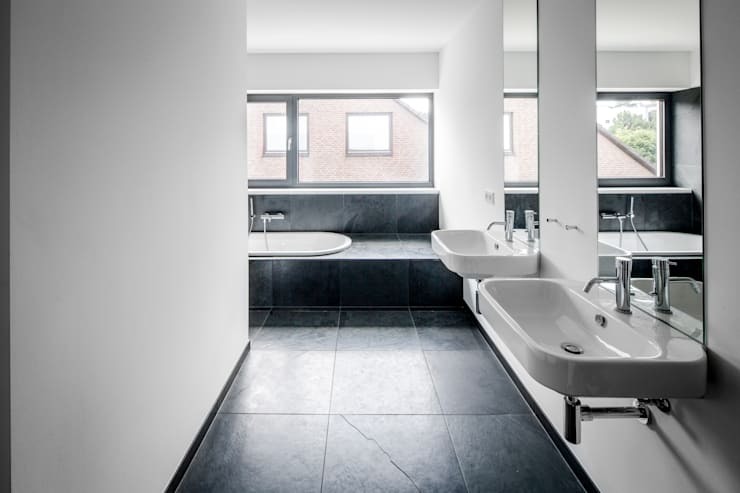 Sometimes less is more and this bathroom is a fine example of how the designer has made use of tiles only in certain sections of the bathroom. 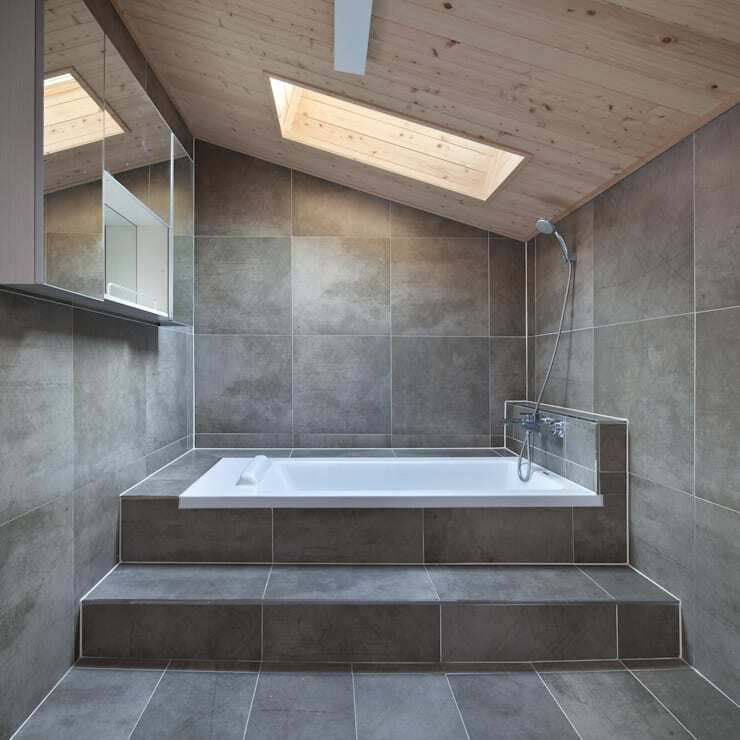 Dividing the bathroom into wet and dry areas allows use of tiles in shower and basin while the other area can do with alternative flooring. This modern tile laying style allows endless possibilities in terms of combinations and can also be promising cost effective solution. While we have shown some tile laying alternatives, as an end user you can also create and design your very own individual style. These modern patterns are trendy but can be common, however if you are feeling creative, why not play around with some tile shapes, arrangements and colors. Use tiles staggered or aligned, who knows, with some expert guidance, yours could be the next trend setter! Want to explore further into the fun world of tiles? 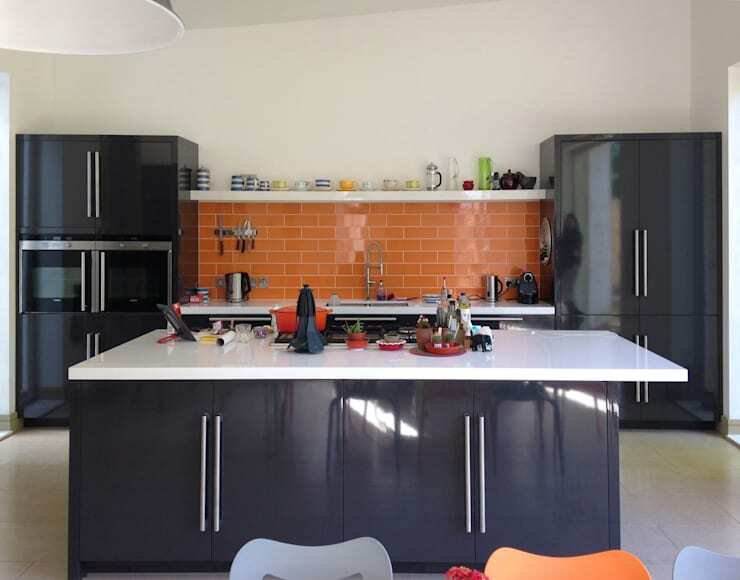 Then take a look at how wooden tiles can transform your home.